To build our abilities as performers, we have to develop personally effective ways to practice, collaborate, present concerts, engage with our communities, and stay in top form. That is, we must assemble bundles of artistic, professional, and self-care skills. To gather the know-how we need, we can and should learn from authorities, tap research, as well as listen to other musicians. But we can’t become capable musicians by gathering information alone. Nor can we reach our goals by merely retracing other artists’ paths – to do so would equate with painting by numbers. Rather, it’s through the combination of gathered knowledge, personal discovery, plus individual and group experiences that we forge artistic visions, craft competence, and construct our futures. Constructivist learning theory was championed by Swiss psychologist Jean Piaget; it centers on the acquisition of skills through experience and exploration. Its counterpart is behaviorist learning theory. Behaviorists present learners with predesigned steps that learners then follow to achieve a desired result. Necessarily, music education incorporates aspects of both approaches. On the behaviorist end, most of us musicians have benefited from the guidance of teachers who supplied us with technical regimens for polishing our skills. And all of us employ certain step-by-step learning procedures to break down unfamiliar pieces, master their components, and then reassemble the parts into whole compositions. Nonetheless, only in the early stages of our musical journeys should we solely depend on teachers to lay out routes to mastery. As free-thinking artists, it’s our role to apply what we learn from others, try various methods, and then adapt our practice strategies according to the music we take on and the emotions we seek to express. 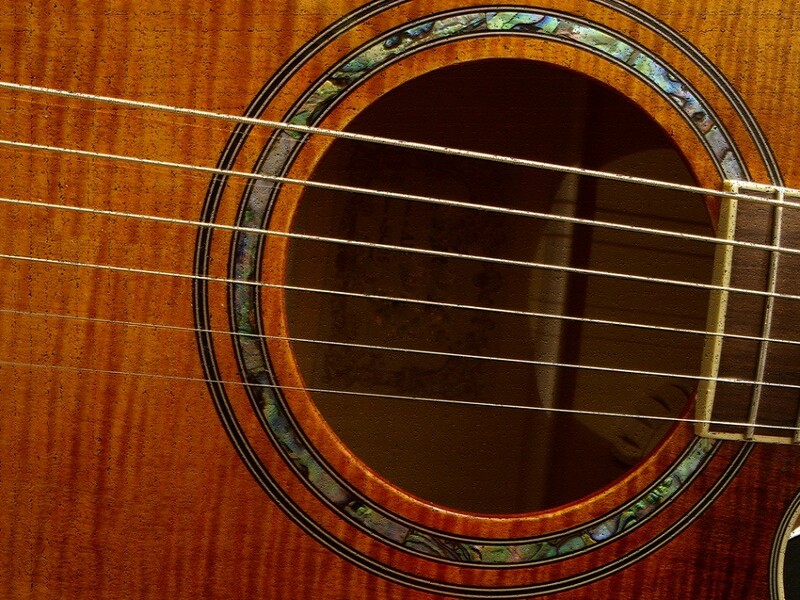 Ultimately, in solitary practice, we make our own decisions and construct our own music. I wonder just how commonly music students embrace constructivist processes and whether our educational institutions are encouraging young people to be intrepid learners. Although I encounter many adventurous students in my travels, I also see plenty of others who are more concerned with doing what will please their teachers or peers than with taking risks and trying out their own ideas. For instance, in music lessons, teachers often ask students to demonstrate how they might tackle certain musical or technical problems. When faced with such predicaments, though, some students will quickly give up and wait to be told what to do rather than rolling up their sleeves. Where does that resigned attitude come from? One source is anxiety. Another stems from elements within our school cultures that unwittingly instill anti-creative, anti-constructivist habits. 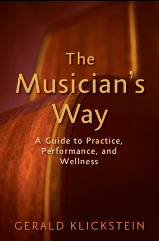 If we’re to identify and solve problems in practice or in life, we have to ask open-ended questions that don’t necessarily have right or wrong answers (see The Musician’s Way p. 54-70). We have to welcome uncertainty and mistakes because only through playful experimentation can we discover what doesn’t work and find what does. Exploration is central to constructivist learning and to creativity. Yet, to explore, we must be willing to stumble, get up, and enthusiastically try again. In schools, though, students often learn that stumbling comes with high costs: A wrong answer on a test lowers a grade; an incorrect response in class can trigger ridicule; an out-of-tune note might incite criticism rather than encouragement. In such environments, some students become fearful of acting independently, taking risks, making mistakes, and asking questions. We musicians can establish learning environments where, whether we’re practicing, teaching, or working with colleagues, we foster creativity, exploration, and diversity of opinion. We can follow our intuition, invite others to share their ideas, and celebrate errors along with triumphs. We can construct more creative musical futures. Educators must first encourage the fundamentals of decisiveness, fortitude, reason and justice. A solid understanding of virtues is not a matter of inviting other opinions, it is a matter of understanding the fundamentals of human action. It is a mater of understanding logic. Sometimes children get wrong answers, give wrong answers and play notes out of tune. What children need to learn from this isn’t from being “creative”, being “creative” doesn’t address failing grades, criticism, or imputing logical fallacies from their experience. What teaches them how to deal with these things is principles of virtues, assertion of themselves as individuals and strength of character. There is no escape from ever being wrong, from ever being criticized. If you shelter children from any and all pain, they will never learn how to deal with it and never grow into mature adults. We already see the affects of this in the US, with children who don’t understand basic concepts of being of strong character, they have no perspective on how well they have it. Creativity can only come as a benefit once the fundamentals of good virtues are understood, else it’s a crutch.